Suriname, the most forested country in the world, is this week hosting a major international conference on climate financing for High Forest Cover and Low Deforestation (HFLD) countries. Among other things, the Feb. 12 to 14 conference aims to make the international community more aware of the significant global importance of HFLD countries and the role their productive landscapes play in combatting climate change. HFLD countries also include, among others: Panama, Colombia, the Democratic Republic of Congo, Peru, Belize, Gabon, Guyana, Bhutan, Zambia, and French Guiana. This conference also aims to strengthen the payment structure for ecosystem services that will be used to advance sustainable development, while mitigating the risk of forest destruction and biodiversity loss. “Forests bring pleasure to our lives. Next to culture and leisure, it provides us with, among other things, food, timber, clean air and oxygen. But [it] also has important benefits such as mitigation and the adaptation to climate change,” Suriname’s Vice President, Michael Ashwin Adhin, said at the opening of the conference. Adhin said climate change and sea level rise presents huge threats to the Caribbean nation—a low-lying coastal state where more than 75 percent of the population and the majority of its economic and social infrastructure is located along the coast. “We are faced with finding remedies to these problems which we did not cause. We are aware of the similarity of the situation for many other countries,” he said. Adhin reiterated Suriname’s aspirations to maintain a High Forest Cover and Low Deforestation rate. He noted that based on the country’s record, they feel obliged to champion this cause on international and multi-level agendas. “We have taken the initiative for this conference as we recognise that together as HFLD countries we can stand stronger and create a critical mass, leading a movement for recognition of our contribution to the global community and cooperate to increase the debt contribution while we enjoy equitable and sustainable economic growth,” he said. But he admits that “the challenges are huge,” especially with regards to the mobilisation of financial and other resources. Winston Lackin, Suriname’s Ambassador for the Environment, said the government took the decision two years ago to commit to maintaining its position of being the most forested country in the world, and to continue being one of the few carbon negative countries in the world. “When we committed ourselves in November 2017 at the UNFCCC [United Nations Framework Convention on Climate Change] meeting in Bonn, we also said that we will not be in a position to do this alone, we would need technical cooperation, expertise, financial support, durable partnership, and political will at the national level but also at the international level,” Lackin told IPS. Pointing out that only eight percent of international financial resources has been directed to HFLD developing countries in the last decade, Lackin said one cannot expect these developing countries to meet their commitments when it comes to the Paris Agreement. The goals of the Paris Agreement include boosting adaptation and limiting the global temperature increase to well below 2°C. He said a very important fact is that the HFLD countries have been contributing to the mitigation of the negative effects of climate change even before the existence of the climate change conferences. He said these countries were facing serious problems to meet their daily economic and social development challenges, while at the same time being the victims of the negative effects which were not of their making. Lackin said the expectation is that the conference will help Suriname and other HFLD countries meet the challenges, facilitate access to financial resources, meet their commitment to the Sustainable Development Goals (SDGs), and in 2020 when the Paris Agreement is enforced, countries should be able to meet their ambitions. “I’m convinced that this conference will help us, will guide us to the next step. The environment is not only our life, it is our survival,” he told IPS. Meanwhile, Shantanu Mukherjee, Chief at the Policy Analysis Branch, Division for Sustainable Development, from the U.N. Department of Economic and Social Affairs, said the Suriname conference has the full support of the U.N. He said the conference is the fruit of close collaboration between the Suriname’s government and multiple entities of the U.N. family. He added that the conference is very timely because latest research clearly shows that HFLD countries contribute significantly to the health of the planet but unfortunately also constitute a major gap in climate finance. This, he said, is something which has been overlooked for many years. 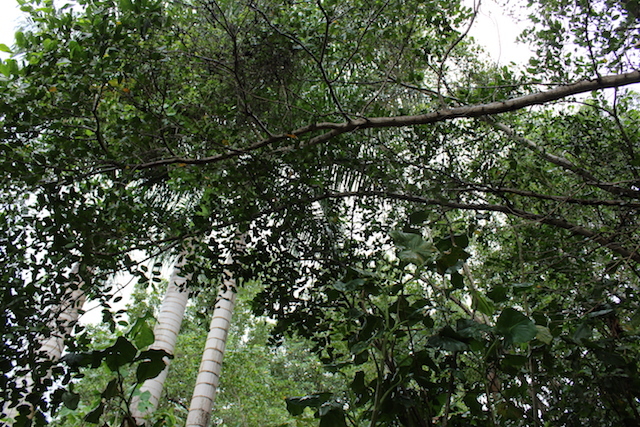 “The crucial role that forests in HFLDs play in storing carbon as well as providing food, water, shelter and livelihoods to tens of millions of people is now at stake,” Mukherjee told IPS. Mukherjee said the conference follows on the very latest scientific discoveries on the important contribution of forests in HFLDs in combatting climate change and that it comes at the beginning of a year replete with milestones and international discussions on climate change. “The message which delegates of HFLDs present here wish to convey to the world is theirs to craft. But whatever the contents may be, the U.N. fully stands with countries in their commitment to both the SDGs and the Paris Agreement. 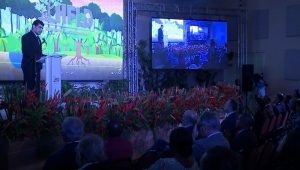 We will do our utmost to bring the messages coming out of this conference to all of the climate-related events and other development meetings that are coming up,” he added.